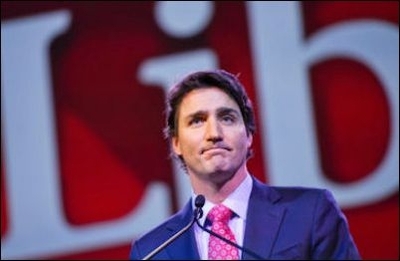 The controversy surrounding Liberal Leader Justin Trudeau's March, 2011 visit to a Montreal mosque that had been identified in a leaked U.S. Department of Defence report as an al-Qaida recruitment centre, just won't go away. After the Sun News Network broke the story, Liberal deputy leader Ralph Goodale said Trudeau had visited the Al-Sunnah Al-Nabawiah mosque in March, 2011 — a month before classified U.S. intelligence reports naming it were made public in April, 2011. But Trudeau's defence he was not aware of the mosque's troubling background in March, 2011 falls apart on closer scrutiny. It now turns out as early as 2006 the mosque in question was well known in Quebec as a hotbed of Islamic extremism, and where the Imam and congregation was committed to jihad and hatred towards non-Muslims. As Marc Lebuis of the website Pointe de bascule revealed last week, CBC's Radio Canada had done a lengthy investigative report on the mosque Trudeau visited as a well known centre of radical anti-West rhetoric. CBC hired an Algerian journalist, Mohamed Sifaoui, to infiltrate the mosque. On Friday, July 21, 2006, Sifaoui went to Assuna mosque in Montreal to attend midday prayers. He brought back video that was aired on CBC showing the imam praying to God to "kill all the enemies of Islam to the last." The CBC documentary also revealed the mosque Trudeau would later visit had issued fatwas from a radical Saudi cleric asking for Muslims to kill any Muslim who does not practice the rituals of their faith (meaning someone like me). One could have excused Trudeau had he said, "I didn't know," apologized and moved on. But he did the opposite. He boasted about having attended the mosque which he himself identified as a "Wahhabi Mosque." Does the Liberal leader know about the war within Islam that pits Saudi-funded, Muslim Brotherhood-promoted "Wahhabi" Islam against the Islam of other Muslims who wish to keep their religion out of politics? If it turns out Trudeau does not know the difference between Wahhabi Islam and the Islam of say, Bangladesh Prime Minister Hasina Sheikh, or the Islam of former Indonesian president Abdul-Rahman Wahid, that is truly scary. Instead of backing down, Trudeau is now trying to play the victim card. Speaking in front of an audience of Muslims Tuesday, Trudeau portrayed himself as the white knight in shining armour trying to protect Canada's Muslims. He said: "Regardless of the attacks on me, be it for attending RIS [Revival of Islamic Spirit], or simply visiting a mosque in my riding, I want you to know that I will always stand up to the politics of division." Division? Isn't it Trudeau who defends "division" when a Muslim audience is segregated by gender in a mosque? Shame on you, Justin Trudeau, for not standing up for gender equality, for not keeping religion out of politics and for failing to clearly denounce the Islamofascism that seeks to destroy Canada. Tarek S. Fatah is a founder of the Muslim Canadian Congress, a columnist at Toronto Sun, host of a Sunday afternoon talk show on Toronto's NewsTalk1010 AM Radio, and a fellow at the Middle East Forum. He is the author of two award-winning books: Chasing a Mirage: The Tragic Illusion of an Islamic State and The Jew is Not My Enemy: Unveiling the Myths that Fuel Muslim Anti-Semitism.